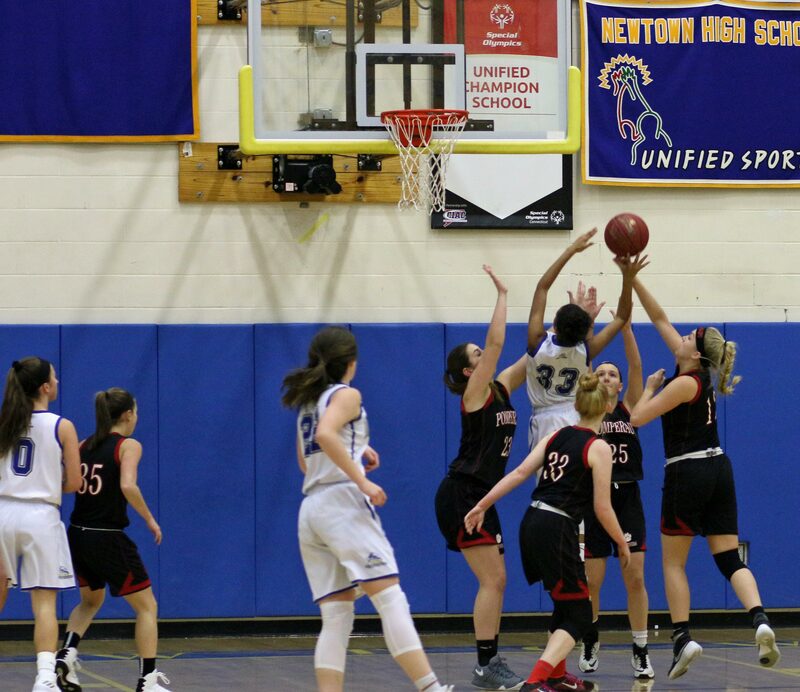 (Newtown CT) Newtown dug themselves a huge hole in the first half and never fully recovered, losing 47-35 to Pomperaug in the finals of the 3’s for Charity tournament on Thursday night. 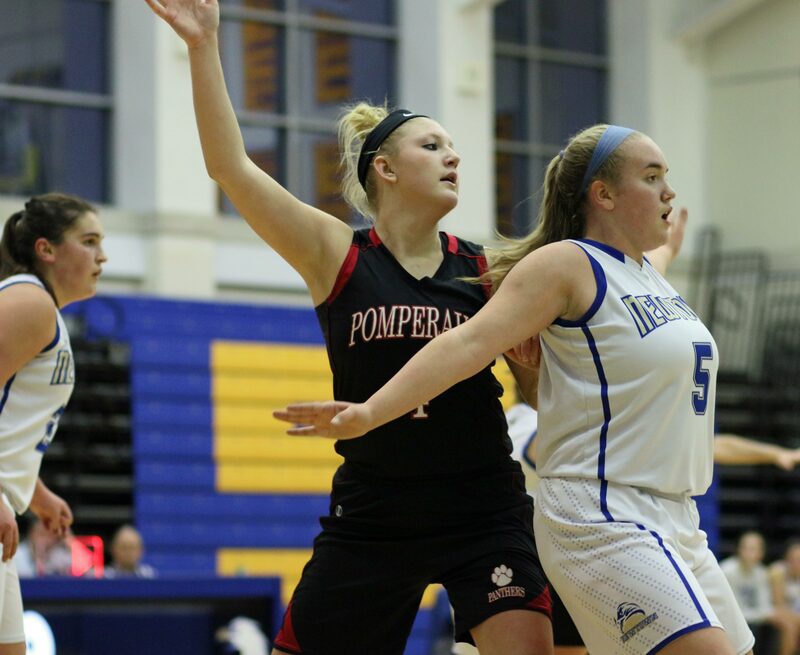 Pomperaug (5-0) continues undefeated while Newtown (4-1) suffers its first loss. 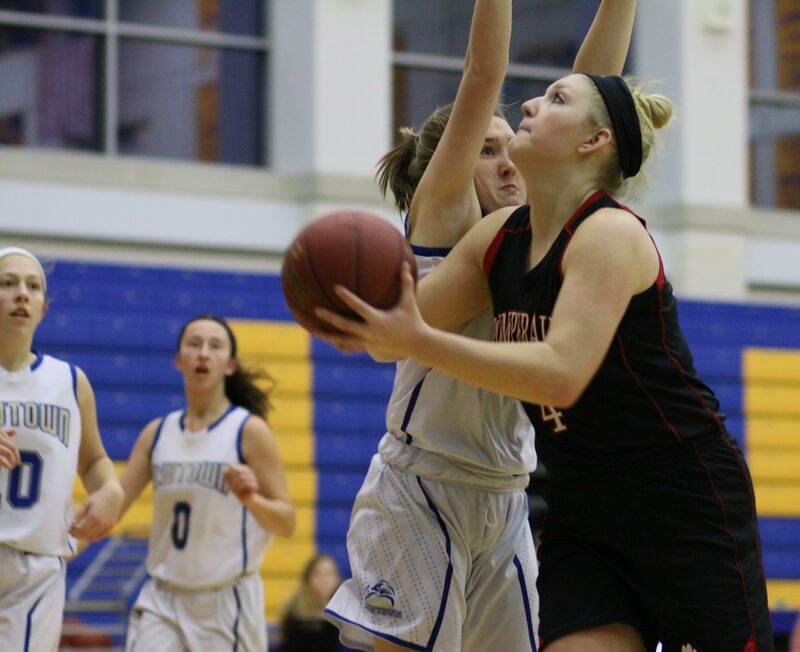 Minus injured point guard Rylee Mulligan, the Hawks went scoreless for over nine minutes of the first half while the Panthers collected fifteen unanswered points. 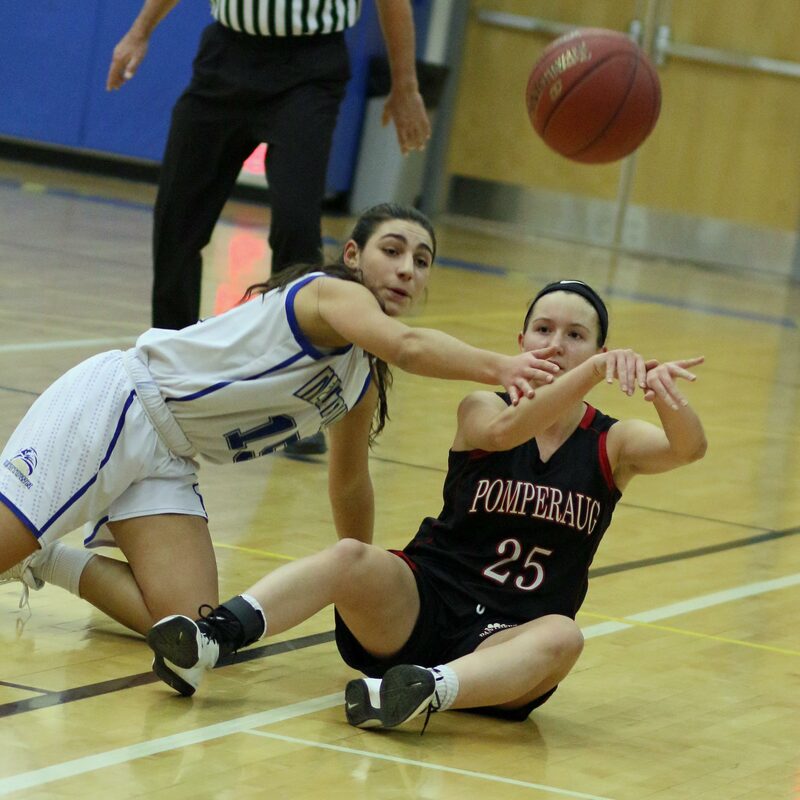 The 17-2 deficit early in the second period was the cushion Pomperaug needed to ride out comeback attempts by Newtown in the second half. The Hawks did get within eight a couple of times in the second half, the last time being 39-31 with two minutes left. 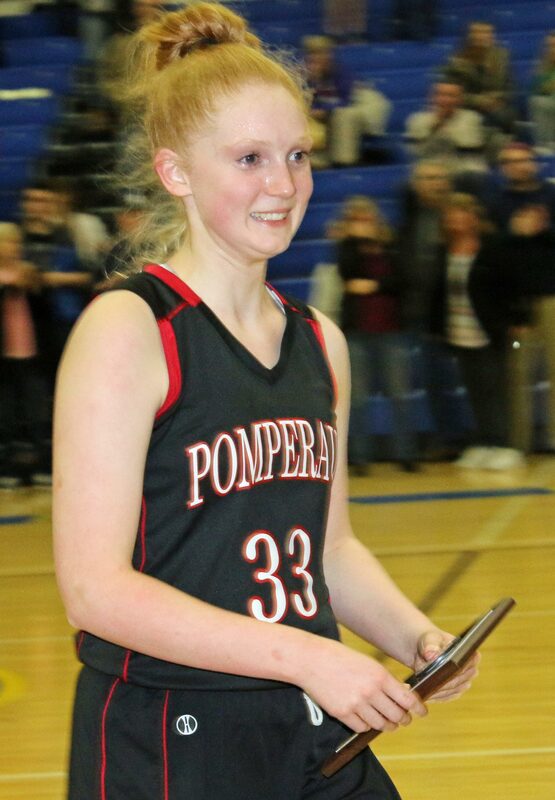 From there on in tourney MVP Maggie Lee clinched the outcome by answering every NHS possession with free throws. 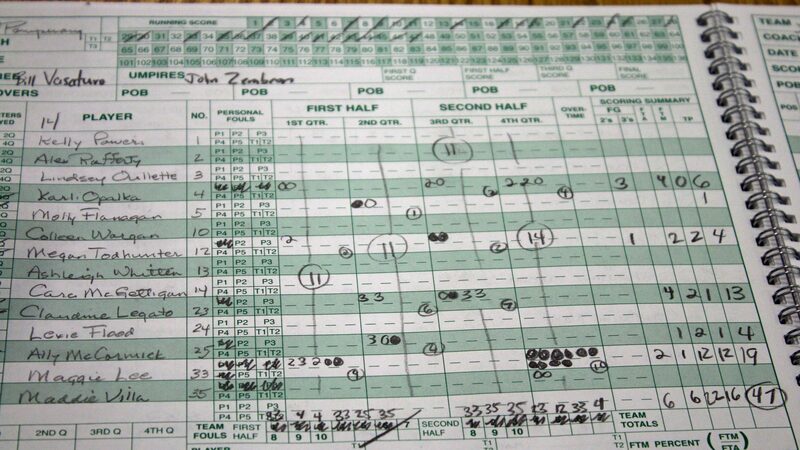 Maggie was a remarkable 12-for-12 from the line and ended up with nineteen points to lead all scorers. 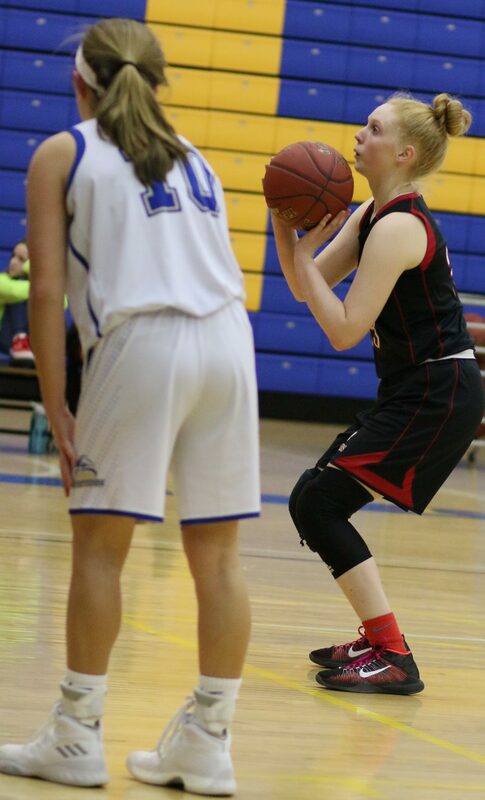 Not having senior Rylee Mulligan was crucial to the outcome. 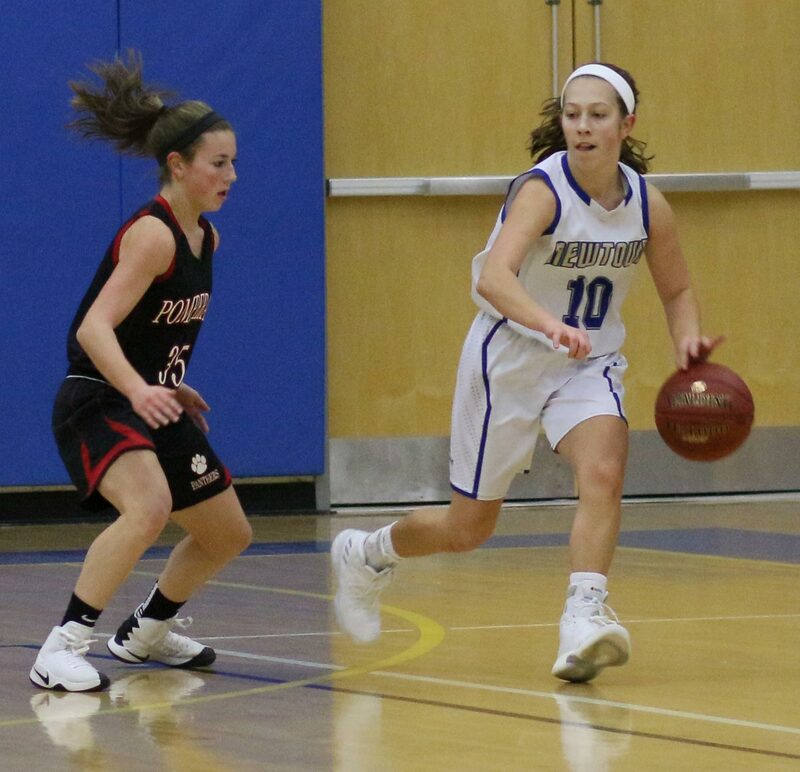 Rylee was a unanimous, all-league, first-team point guard for Newtown. Not only were the Hawks scoreless during nine minutes of the first half but they also had seven turnovers. Claudine Legato finished with thirteen points including four 3-pointers. 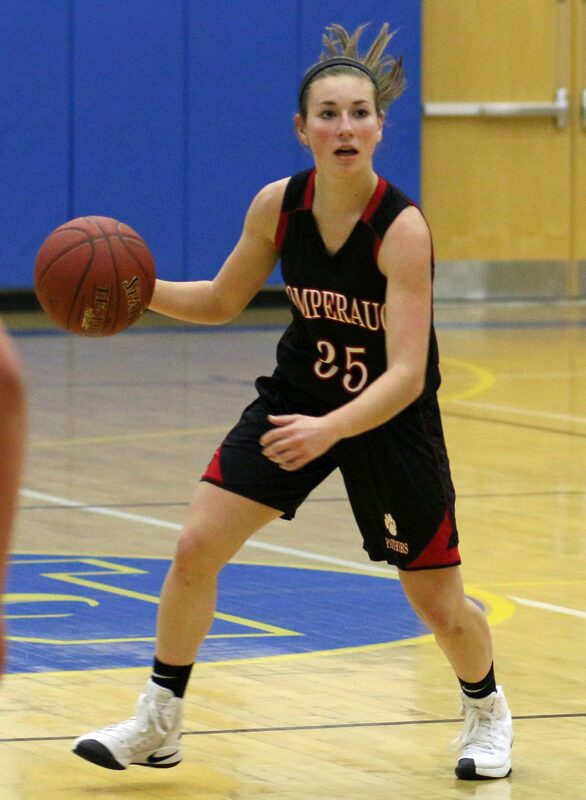 “They may have been overplaying Kayli (Opalka) and that gave Claudine some openings,” said Coach Fortier. It would certainly make sense to overplay Kayli. The six-foot senior already has over 1000 points and 1000 rebounds. 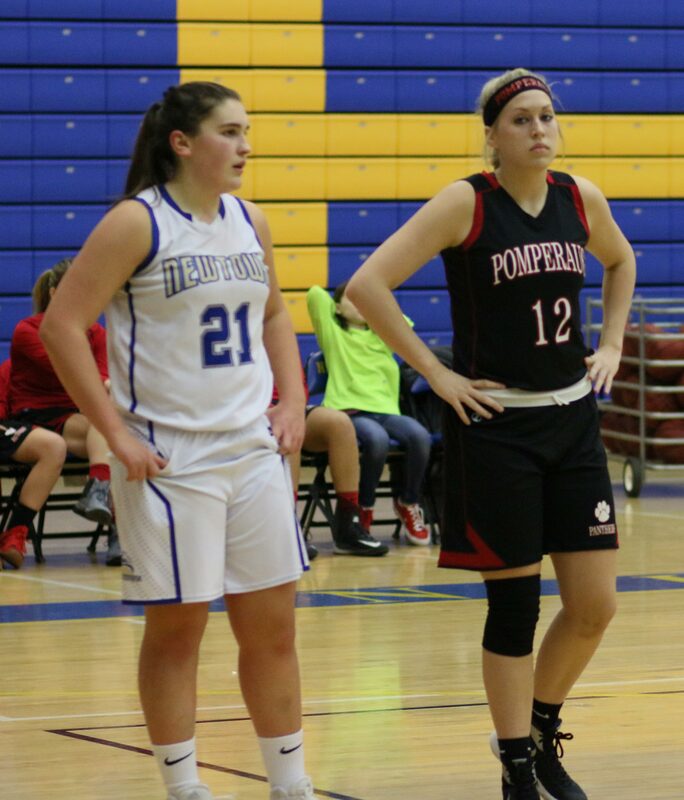 I was entertained by the matchup of sophomore guards Cyleigh Wilson and Maddie Villa. They were tireless and handled the ball well. 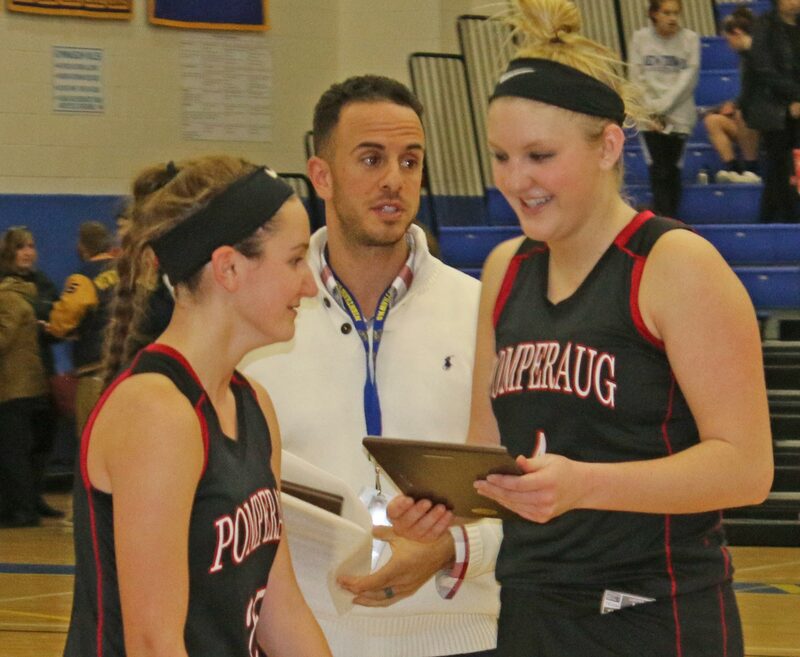 “They are good friends off the court,” added Coach Fortier. I was impressed with the defensive work of Jackie Matthews. 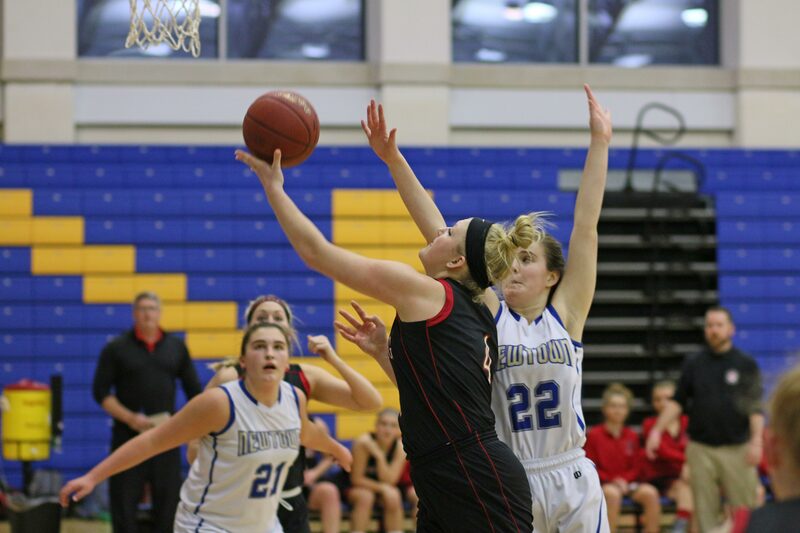 “She’s our best defender,” said Coach O’Connell. 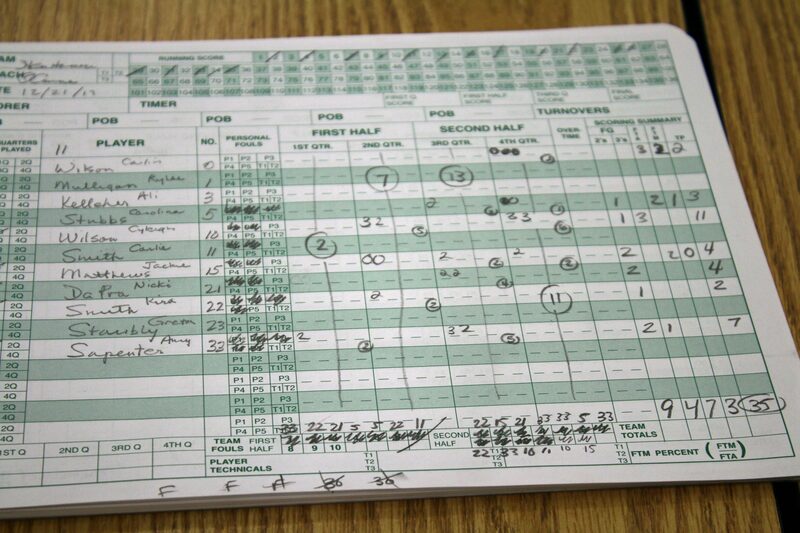 Last February 11th, Newtown defeated Pomperaug, 47-45. 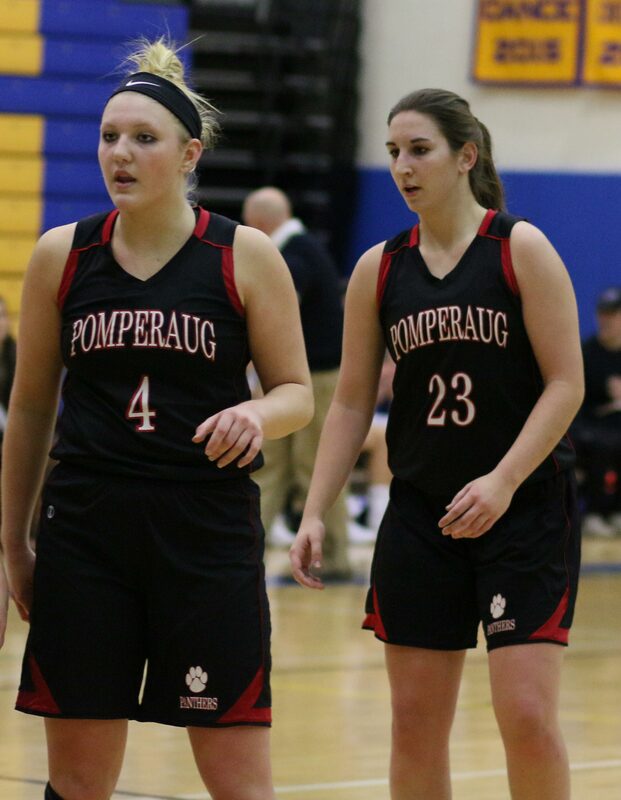 Nicki DaPra (16) and Rylee Mulligan (13) keyed the win for the Hawks. 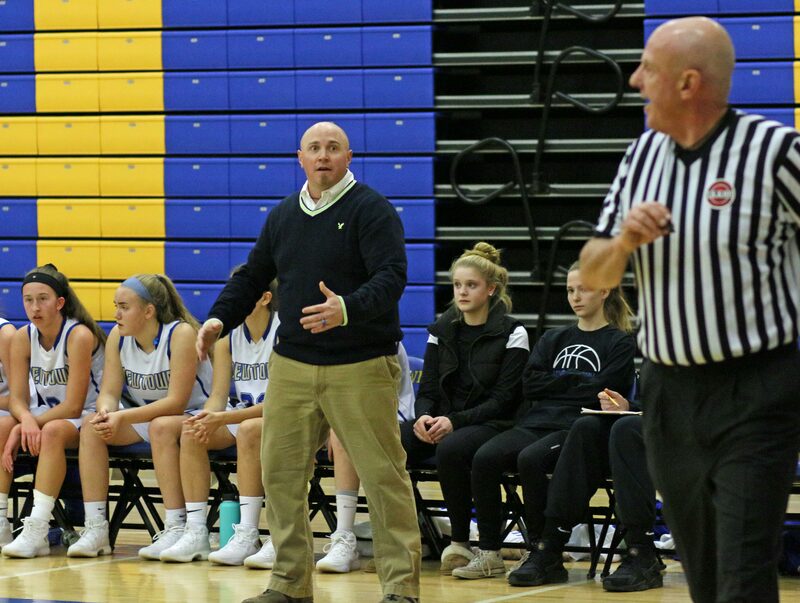 Coach Fortier with a career 135 wins and 40 losses hasn’t forgotten that game. “The losses always stay with you,” he said. 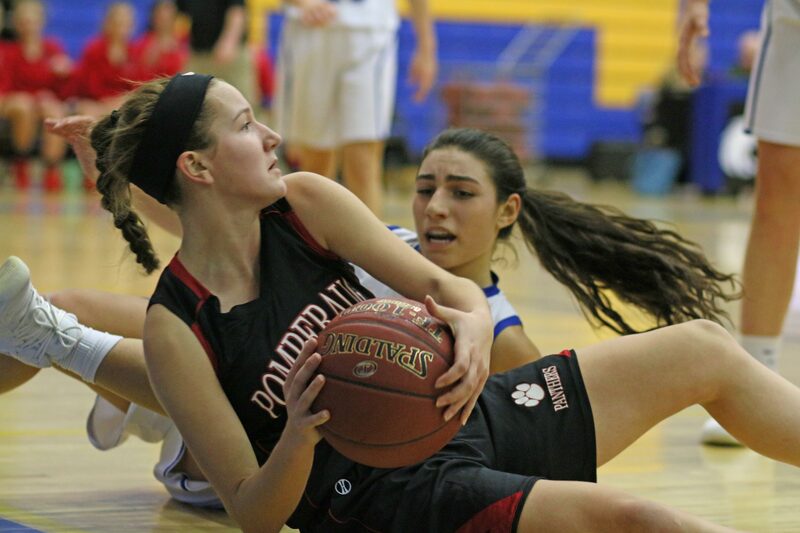 The Panthers have everyone back from a team that was 18-6 last year and reached the Class L state semifinals. They could be in line for another strong post-season run. 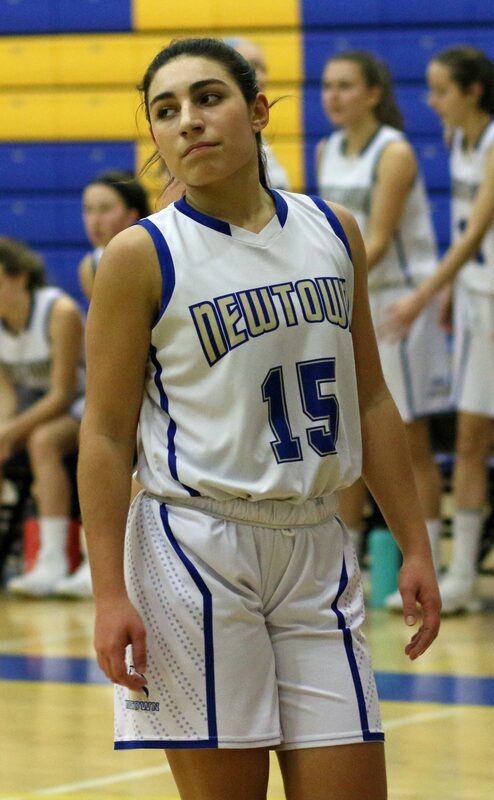 Rylee Mulligan could be back for Newtown’s next game which is a week from Saturday. 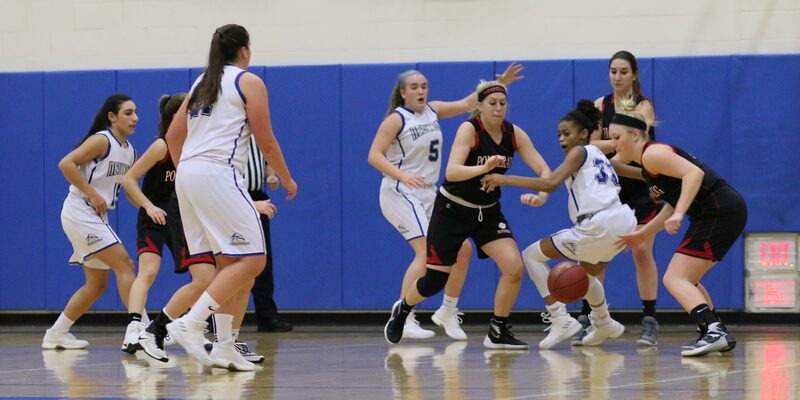 “She has missed 2 ½ games and we’re taking it slow with her,” added Coach O’Connell.